What Makes Ebola a Deadly Disease? Ebola virus disease is a deadly disease. Ebola virus is a fatal virus that triggers the serious illness. Two simultaneous outbreaks of Ebola virus disease were first found in 1976. The one was in Nzara, Sudan, while the second one was found in Yambuku, Democratic Republic of Congo. Since the second case was found in a village located near a river named Ebola, this disease was named after it. Five strains of Ebola have been discovered until now out of which four have affected humans with Ebola. These four regions include.Zaire, Tai Forest, Sudan and Bundibugyo. The fifth strain is named Reston and has been recently discovered among the monkeys in Virginia. There is no proven treatment available for this disease. Only supportive care with rehydration and symptomatic treatment is available. The fatality of the case of Ebola virus disease is around 50 percent. The symptoms of Ebola virus disease erupt suddenly between 2 to 21 days. The human population gets into a touch of the Ebola virus disease by means of close contact with the secretions, blood, organs, or other bodily fluids of infected animals like gorillas, monkeys, chimpanzees, fruit bats, forest antelope etc. 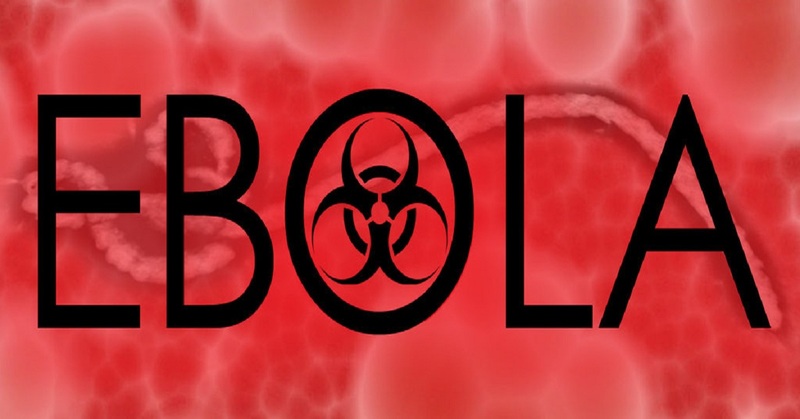 Ebola Virus disease or EVD, also known as Ebola hemorrhagic fever, is a fatal illness that is found in humans as well as in other primates like gorillas, monkeys, and chimpanzees. Triggered by Ebola virus; it is most commonly called simply Ebola. As there is no licensed treatment for this fatal illness, so the death rate is as high as 90%. There is no evidence of the origin of the Ebola virus, but researchers believe that fruit bats are most likely the hosts of the Ebola virus. This is such a fatal disease that it progresses systematically and may affect one or more organs (liver, lung, or kidney) of your body and disable them. The people affected with the Ebola virus disease has to go through weakness, fatigue, headache or joint pain. Several proactive measures are recommended to be used in the clinics and hospitals so that this infection should be controlled from spreading. The people who come in contact of the Ebola virus may have to face the symptoms within 2 to 3 weeks. They feel muscle pain, fever, headache, and sore throat, a spell of the vomiting, rash, and diarrhea. 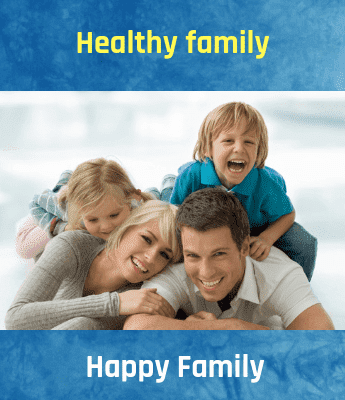 The functionality of the liver as well as kidney also gets affected. It has been observed that the low blood pressure caused by fluid loss is the reason of death in Ebola. No vaccine or treatment has been discovered; however, scientists have been working on a number of possible treatments through which people can get rid of this fatal disease. Studies disclose that symptoms of Ebola fatal disease come to the fore within 2 to 21 days from the day of close contact with the Ebola virus. When people come into the close contact of this Ebola virus disease, they suddenly feel tired, muscle pain, joint pain, sore throat, and headache as well. In most of the cases, the fever has been found to go beyond 100.9 °F. Apart from vomiting, abdominal pain, and diarrhea the patients also suffer from chest pain and shortness of breath in conjunction with the swelling, confusion, and headaches. Half of the people with Ebola suffer from some flat red spots with small bumps on their skin. In some of the cases, people may suffer from internal as well as external bleeding that is typically seen in 5 to 7 days since the first symptom comes into existence. If people with Ebola go through the bleeding stage, it indicates the worst condition and loss of blood in this way can prove fatal. People near the end of life go into a coma. People who stay alive go through several difficulties like decreased hearing, muscle pain, joint pain, and liver inflammation as well. Antibodies developed among the survivor, and these antibodies may take at least 10 years to end. Note: It is yet to be cleared that Ebola virus disease may or may not cause repeated infection. However, one thing is clear that those who survive from this disease cannot transmit the disease. It is clear that the Ebola virus disease has no exact treatment. However, early supportive care along with rehydration and symptomatic treatment is the way through which survivals can be improved. The World Health Organization advises not to use of ibuprofen or aspirin if people go through the pain. In the developed world, intensive is used in which the blood volume and electrolyte balance are maintained. People are also given the treatment that prevents bacterial infections. In case of kidney failure, dialysis is recommended. Food and drug administration has advised that people should be alert about any advertisement that makes unverified claims about the anti-Ebola products. Research is in the process to find out a cure for Ebola. Some experimental treatments have been discovered, and hopes are high that these treatments will prove to be beneficial and effective in restricting the progress of Ebola. Note: ZMapp is one among those experimental treatments that can be beneficial; however, it is yet to be tested on human being so that its effectiveness and safety is still not guaranteed. As it is a disease that is triggered by an infection, so it is not easy to differentiate it from the diseases caused due to infections like typhoid fever, malaria, and meningitis. Two types of examinations confirm that the symptoms belong to the Ebola virus disease. First is nonspecific laboratory testing and the other is specific laboratory testing. Tests of antibody, virus isolation by cell culture, electron microscopy etc. are recommended along with is antigen (capture detection test) and serum neutralization tests. Anyone affected by this disease has only 10 to 50 % percent chance of survival. With the progress of the illness, it affects multiple organs as the lung, liver, and kidney one by one, and disrupts their functioning. People affected with the Ebola virus disease may also suffer from other diseases like jaundice, coma, low blood pressure, and seizures. It is still a mystery for researchers working on the Ebola virus disease as to what causes such complications in some people while some remain unaffected. However, some people who escape from this disease has a slow rate of recovery. It is also seen that people survived may be affected with inflammation of the liver or hepatitis, or the eyes or uveitis, or testicles or orchitis. They may have symptoms like weakness, headaches, chronic joint pains, and fatigue. Why Ebola Affects Women More Than Men? Ebola attacks more women than the men. As this is a disease that affects people through the infection, people who come in contact with the infected people or animal are affected with this disease. According to a Health Team that was working in Liberia, around 70 percent of victims affected with Ebola and who succumbed to this disease were women. One of the biggest reasons behind this is that women are a caregiver; they have to look after their family members and stay with the patient. Besides, there are more women nurses, health officials, and cross-border traders, that makes women more vulnerable to the diseases. Women work as laundry workers and cleaners in the hospital, which also increases their risk. Pregnant women have a greater chance of being affected with this disease because they have to contact with health workers. Health experts have advised that you should get trustworthy health advice on the subject of the Ebola virus disease from the public health authority. The food products should be prepared and cooked appropriately; as cooking inactivates the Ebola virus. You can prevent Ebola by following basic hygiene such as preventing yourself from coming in direct contact with raw meat, infected animals, and by-products. Other customs of basic hygiene include always washing your hand with disinfectant before eating anything, changing your shoes and clothes after being exposed to such infected products and animals and cleaning them with disinfectant and warm water before using those clothes and shoes again. Never consume diseased and sick animals. According to some researchers, it is easy to inactivate an Ebola virus by increasing the intake of vitamin C and several other antioxidants that are commonly found in citrus fruits causing virucidal effects. Since no specific drug has been discovered for Ebola, intensive supportive treatment is the best treatment, which is given by the health worker in the hospital. This treatment pursues strict infection control procedures. Thus, awareness and prevention is the only protection against this Ebola virus disease and its prevention can be possible when the health department of different countries take serious steps to reach out to people and explain the truth and prevention measures related to this disease to common people.